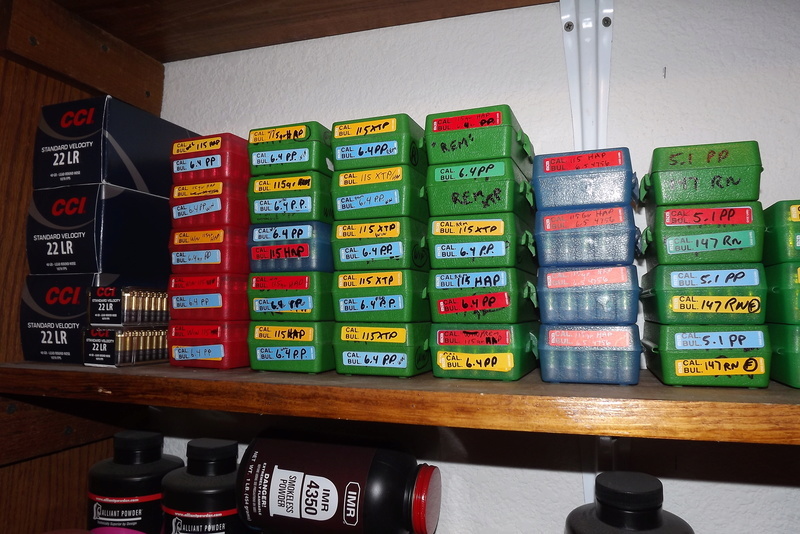 NEED SOME LOADS FOR MY SPRINGFIELD 1911 RANGE OFFICER 9MM FOR BULLEYE SHOOTING. 6.4 gr Power Pistol with Zero/HAP/XTP 115gr JHP bullet. C.O.L. would depend on bullet choice. 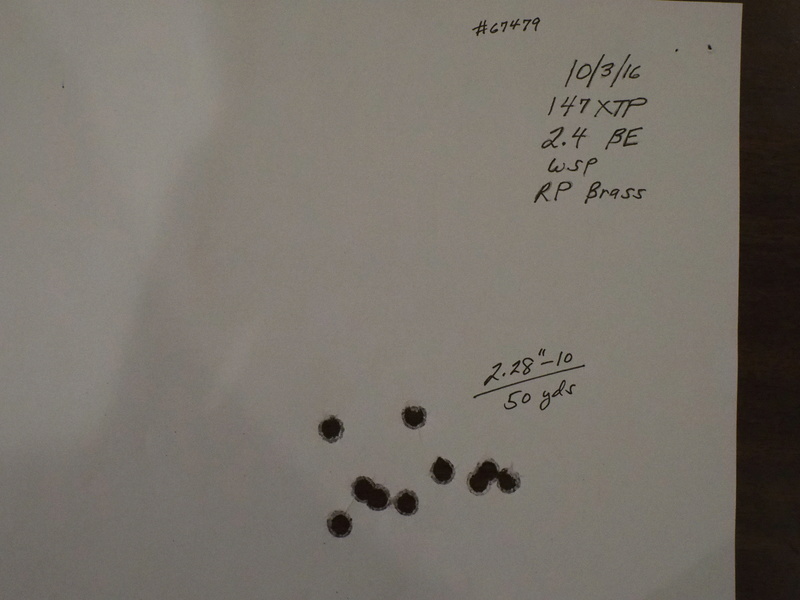 Or 5.1 PP with a 147gr but I mostly load the 115's now. I believe in that load. 5.1 gr. Ramshot silhouette with Zero/HAP/XTP 115 JHP bullet. C.O.L. for these is 1.079. Power Pistol 6.1 gr is also nice. James, I could probably get by with 6.1 without the dot mounted. I needed just a tiny bit more oomph. That's a technical term. My C.O.L. probably same as yours but I would have to get out of the Lazeboy to find out. Might be some merit to what JIMPGOV mentions. I found the problem was more in the bushing and lockup then barrel size. I actually tested several larger diameter bullets in mine with no improvement. 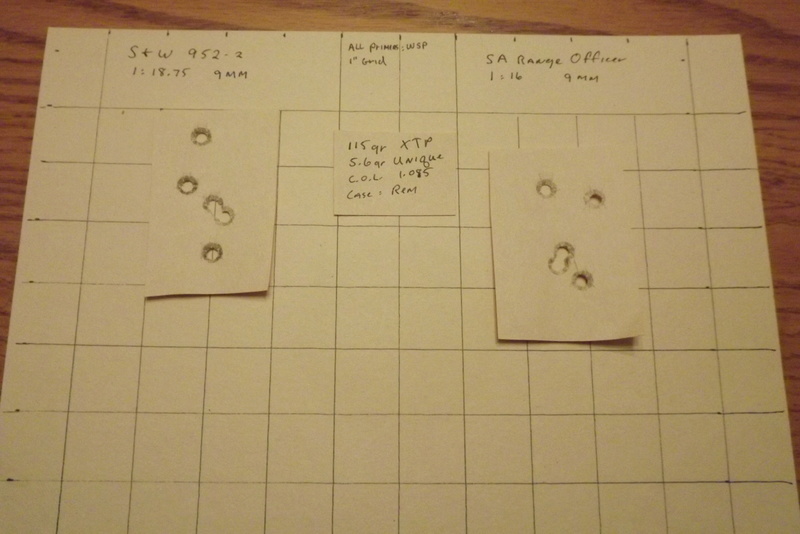 The groups changed a lot when I re-barreled but I also tweaked the rest of the pistol. 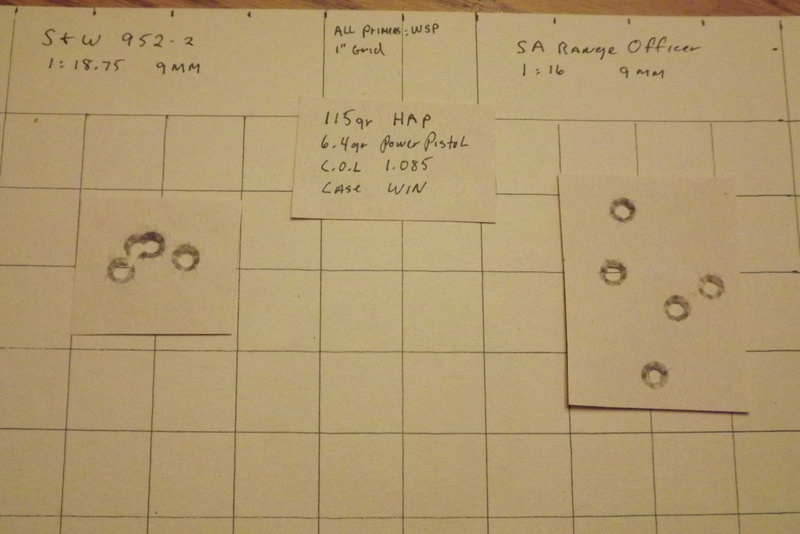 Here are some test results with the stock 9mm compared to my 952. I actually found one load better in the RO then the 952 but wasn't going to waste my time loading it since it sucked in the 952. Enclosed group is from a 10" twist barrel, and the load is fairly soft. Most 16" twist barrels require a fairly hot load with 115gr bullets.